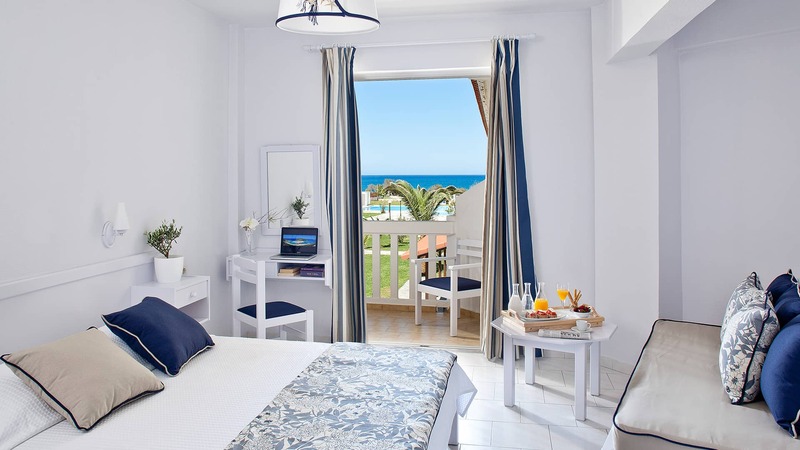 Chryssana Beach Hotel in Chania, Crete is located in one of the most picturesque bays in Crete, in Kolymvari (also known as Kolymbari). A recent renovation gave a fresh look and an elegant atmosphere where the distinctive architecture of the hotel blends in harmony with the surrounding nature and the beautiful villages around such Platanias, Maleme and Spilia.Chryssana Beach Hotel is built only 25 meters from the sea and the majority of the guest rooms offer a magnificent view of the Cretan Sea, comfortable and outfitted with all modern amenities. You can relax at the large swimming pool, surrounded by a colorful flourishing garden, while enjoying a nice and refreshing drink or snack. 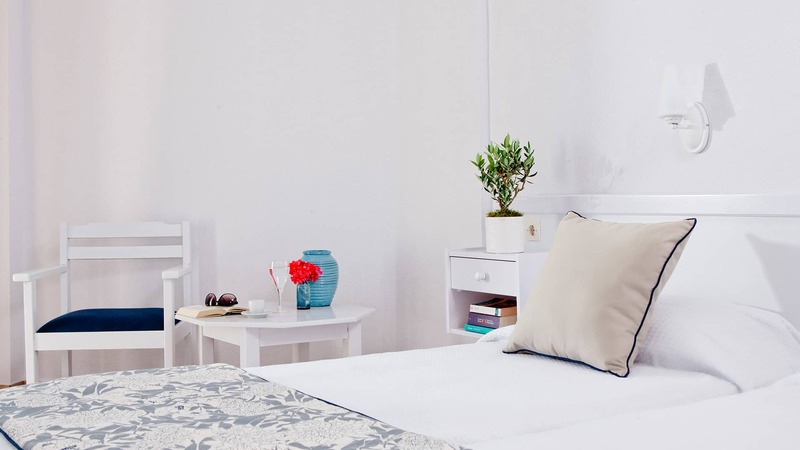 In our hotel you will find everything that is required to make your stay in Chania an unforgettable experience. 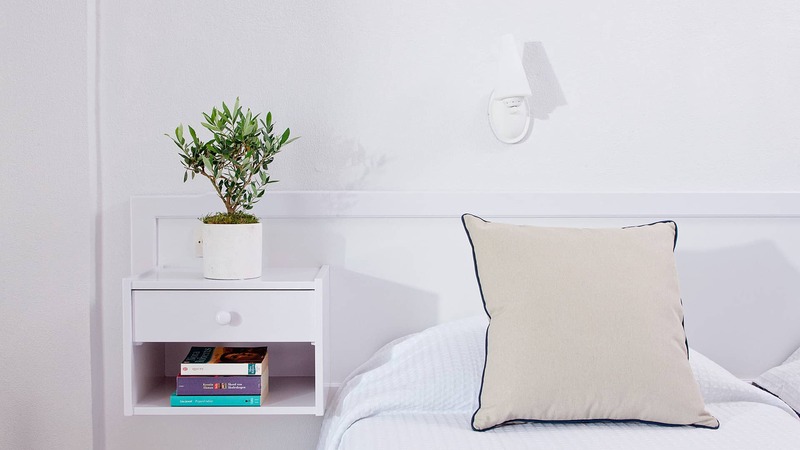 Connected rooms are also available for families with children.The dedicated and friendly staff of Chryssana Beach Hotel in Chania will be delighted to be of assistance in all matters concerning accommodation needs and requests. Spacious double or twin bedded room, bathroom with shower and private veranda with sea view. The Superior Double room may accommodate up to 3 adults and 1 infant. Bedroom with one double or two single beds, bathroom with shower and private veranda with sea view. Bedroom with one double or two single beds, bathroom with shower and private veranda with side sea/garden view.